Did you know the Cursillo Movement of Baltimore is a 501(c)(3)? This means any donations you make are tax deductible. 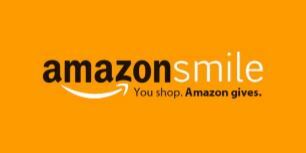 Cursillo Movement of Baltimore has successfully registered with the Amazon Smile Program as a nonprofit organization eligible to receive donations through the Foundation. Amazon Smile is a website operated by Amazon that allows you to enjoy the same wide selection of products and convenient shopping features as on Amazon.com. The difference is that when you shop on Amazon Smile ( www.smile.amazon.com ), the Amazon Smile Foundation will donate 0.5% of the purchase price to the eligible non-profit organization of your choice. Therefore, you can start supporting The Cursillo Movement of Baltimore by visiting https://smile.amazon.com/ch/46-4636408 . Click on this link or the Amazon Smile icon above. Month Club earns money for our Cursillo movement. ACTION - pass along your CD or book to a friend, family member or co-worker. or use your smart phone to get or give a subscription.